madmechanic posted a topic in Member Rides & Builds -- Show off your whip, Show off your System! Things you hate when giving/getting a demo? juan777 posted a topic in Off Topic - Random, Misc posts - the forum "Junk Drawer"
What are your pet peeves when giving/getting a demo? We've all had the 20 second demos Today I was giving someone a demo and they tried to take over my deck!!!!!!!!!! You never touch a basshead's Head Unit!!!!!!!!! I nearly tossed him out. Help! lol I built a ported woofer box thinking this would sound A LOT better than my previous sealed box for 4-15" L7's but it doesn't! Hits high bass cool but not lows. Do I need to tune lower by making port longer? The box is 23"H x 49" W x 58"D port is 21.5"H x 15"W x 10.5"D tuned to about 34Hz per Torres Tuning Calculator... What did I do wrong? It is my 1st build so take it easy on me guys I barely get any air out of port. Don't want to give up and cancel the port and just wall the interior and make it sealed. What are some good budget subwoofer? Looking to find some good 12's with a decent wattage and can get loud on a tight budget any recommendations are welcome. All, I currently have 3 Crescendo F31 Batteries. I plan to add 3 more F31s, the ones I currently have are about a year old. Is it ok to add 3 new ones to the mix? what are the cons? I could also separate them since I will also have 2 370XP DC Power alts that I could separate into 2-3 battery banks each powering a BC5500D. But I want to keep them all together if possible. Help is appreciated! Box Design for PSI 18(s) in Tahoe / System Advice NEEDED! I have a 2003 Chevy Tahoe, currently have 2 Skar Audio VVX 15s on 2K Watts in a 30Hz ported box. I have the subs sitting Up and the Port facing the rear (trunk lid). I plan on getting one or two PSI 18's soon but am having trouble figuring out what to do next. I LOVE LOW NOTES. And just dont feel that the Skar's put out the Lows loud enough (VVX 15 has an FS of 38hz, the PSI P3 18 is 27HZ!). I will be hopefully installing Murder Mat sound deadener soon which im sure will make the lows better, but still, im after LOUDER CLEANER Lows that my whole body can feel while still sounding amazing. I need to ask you guys (especially those with very high-end systems), how do i achieve clean loud lows?? Im aware that Box design is crucial. Would Subs Up Port Up be better for lows? Or having the subs and port both facing forward towards me? Also lets say for a single 18" sub, what Cubic FT should the box be for clean loud lows? Yes, Im pretty noobish at systems but im learning so anyone with advice please feel free to help thanks. mmotux posted a topic in General Audio - Can't find a category for your question? Ask here. So I'm wondering what would be best for a dodge ram ex cab. I think I'm going to put the enclosure on my rear seats... Should I have subs up port front? And have the port going in the middle between the seats? Ofr Subs up port back? Side? Please help. Thanks. Hey all on this forum. I have a debate whether I want to use 2 old school Rockford Fosgate 1001BD power amps to push 2 MTX Audio 9515-44s or instead go for an American Bass PH-4000 MD to push them @ 1ohm. Power consumption isn't really a concern but I want to know if it's worth getting 2 RF amps or just having one amp to push them both. CanUFeelMe posted a topic in Member Rides & Builds -- Show off your whip, Show off your System! Steve, What do you recommend? Hey Steve I was wondering what you would recommend. My dad wants to upgrade the bass in his car since he has watched some of your videos on youtube. He has a BMW E36 M3 3.2 Evo, with 2x Alpine SPX-13REF in the Footwells, a Shallow Rockford Fosgate PS3 Subwoofer connected to a Rockford Fosgate P300 Amplifier in the boot, Original Rear Speakers still in car. He wants to add 2x 12" Subwoofers on the back shelf but is not sure if he can bridge all 3 subs with the Alpine CDA-9887R Head Unit that he has, also he wants to put 2x Alpine SPX-13REF in the rear doors and connect them all to one Amp. Any recommendations would be much appreciated. PowerHouse407 posted a topic in Member Rides & Builds -- Show off your whip, Show off your System! Hey guys so i just picked up my 2nd car. Its a 2003 Black Jetta Wagon. I never really did a build log with my first car because i barely had time to even work on it but with the summer coming up i will have some time to do work. Here are some pics of my old Jetta and the new one more updates on the way!!! 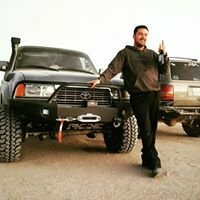 Tonio9606 posted a topic in General Audio - Can't find a category for your question? Ask here. Alright my question is, do you guys think the zv4 from sundown is an upgrade from a fi btl n2 ? Or would you say they are about the same? Is it worth getting rid of a couple btl's for a couple zv4's ? So the build is finally decided, just haven't figured out which way to point them the box is as stated: 6 ft3 with a 4 inch wide slit port tuned to 29hz Port and sub direction? Or would you go with a different style of box for a 15 inch SA Sundown Audio running on a bd1000.1? Please help! Thanks so much. Is it better to use a suitable size fuse and replace when needed or buy a circuit breaker that switches of during over a voltage spike ?? Well, I'm not sure how many of you follow me on Facebook (Probably very few of you if any), but I've released my first album on Bass Mekanik Records back in January of this year. I've already nearly completed my 2nd one. 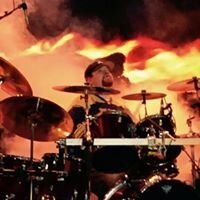 My music is geared towards bassheads who like rock/metal. All instruments are live and played by myself. There are some programmed tracks as well, but a vast majority of it is real instruments. By trade, I'm a drummer. The first album is titled "Audio Implosion" and is available anywhere you can buy digital music. Here's the iTunes link https://itunes.apple.com/us/album/audio-implosion-bass-mekanik/id591261864 This album was more of a broad range of different tones and low-ish bass. SOme stuff playing as low as 21Hz. My 2nd album is titled "Subsonic Guillotine and will consist of much heavier and low toned tracks. One track drops as low as 16Hz! Hope you guys like what you will hear of the first album. Thanks for checking it out, if so. Have a good one! ChrispyShimp posted a topic in Member Rides & Builds -- Show off your whip, Show off your System! First post. I'm trying to start a build log, and am having difficulty posting the pictures. I am using photo bucket, and using the IMG address, lets see if it works this time. Yes! Two 12" RF P1s in a slanted dual ported box, that box sucked! Had the amp mounted on a board behind the box, RF Prime 500.1, the long one. Had cheap undersized wire, but it still did pretty well. Here's the 'amp rack' Here's one more of the subs, better view, these are like two years old! 2 SMD 18's Eating Hair! Hey Everyone.I recently bought a 2002 f150 extended cab.I am looking to put subs in it and I would like to put them under the back seat.SO i am looking at 8'' subwoofers.I am stuck though between skar audio, sundown, and rockford fosgate.Which subs are the best for the price.looking at doing 4 8''s.I am not wanting to spend more than $120 per sub.I have to fosgate 10's in my other vehicle and i love them.I am looking into the other two brands.What are your guys take on Skar and Sundown. I was looking to get a sundown zv.4 18 in my 2009 ford focus. I figured out that after the displacement of the woofer and the port that I would have around 7 Cu. Ft. of usable air space. the port would be 5'' wide and tuned to 32 hz. the dimensions of the box are 40 wide, 20 tall, and 22 deep. For my amplifier, i was thinking of using an audiopipe 3000.1. I know that sundown subwoofers can take a decent amount more power than what they are rated, but I am a little concerned that this might be too much power. I think the enclosure will work well with this subwoofer but I wanted to try to get a second opinion on the forum. Let me know what you think or if there is any suggestions that would make this build even better. Thanks.